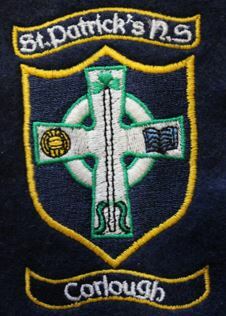 ​St Patrick’s N.S is a co-educational, Catholic Primary School situated in Corlough parish and on the border of Cavan and Leitrim. It is a caring school where the whole school community shares a common goal to do the very best for all the children in its care. As a Catholic school our overriding aim is to establish and foster Christian values for life, but we also have due recognitions for all other religions. To do this it is essential that we work in partnership with parents and the parish community. The success of our school depends on the good co-operation between staff, children, parents and the local community. This website is intended to help you know more about life and work of our school. It outlines what we stand for and what we offer your child. We look forward to seeing you and hope you will share with us in making this a successful and memorable period in your child’s life. To create an atmosphere of respect and peace and love.